Unique and beautiful chalet by the sea with 10 mts. from the best beach bag location. Accommodation of 02 rooms with AR, TV, beds, 01 suite with view to beach of the bag and balcony overlooking the Beach of Mangue Seco -BA. The chalet is very airy and cozy, with living room, American kitchen, service area, social WC, mezzanine, balcony with hammock, garage, lawn and a shower head facing the sea. The street is all residential with quiet and quiet location with beautiful beach for sea bath, plus a structure of several bars and restaurants for you to enjoy with your family without leaving by car. 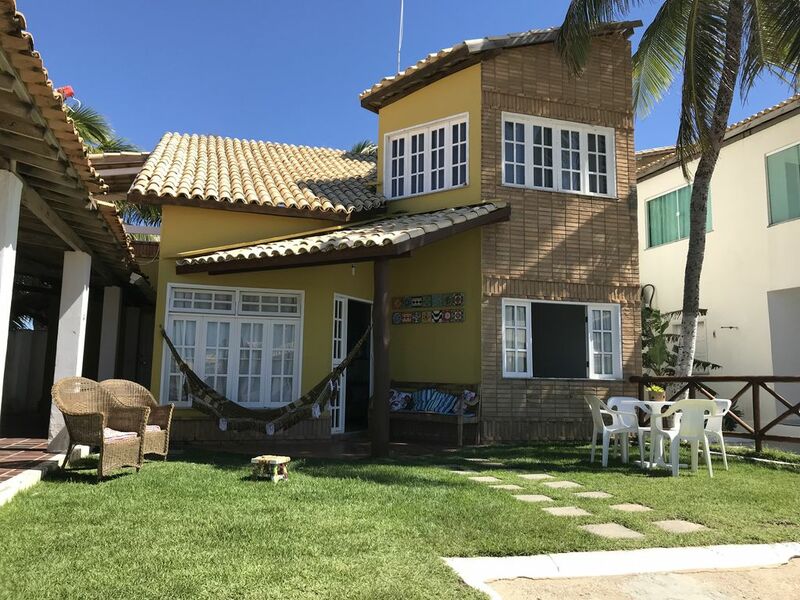 The location is facing the sea and to the island of the mother-in-law, where you can rent schooners and motorboats to visit the natural pools, the sandbanks and to know the 10 minutes the famous beach of Mangue Seco in BA, logically enjoying the natural beauty of the Sergipe and Baiano mangroves. Late afternoon you can not miss to enjoy the beautiful sunset on the sand dunes on the beach of the bag with incredible walks of bugres. Chalet located in residential street, near the sea, near or next to bars and restaurants. Quiet and quiet beach for bathing and family rest. There are hotels and inns nearby. We have supermarkets nearby, including dellivery c.
The local attraction is the walks of bugres the dunes of the bag with sight of the sea and sunset, besides the pleasant TUR nautical of schooners and boats to know the sandbanks, natural pools, mangroves and the famous island of mother-in-law and the beach of mangue seco-BA, where was made the scene of the novel Tieta do Agreste.